Home Biz + Labor Infrastructure Does Whitmer’s roads plan raise $2.5B or $1.9B? Here’s why it matters. Does Whitmer’s roads plan raise $2.5B or $1.9B? Here’s why it matters. 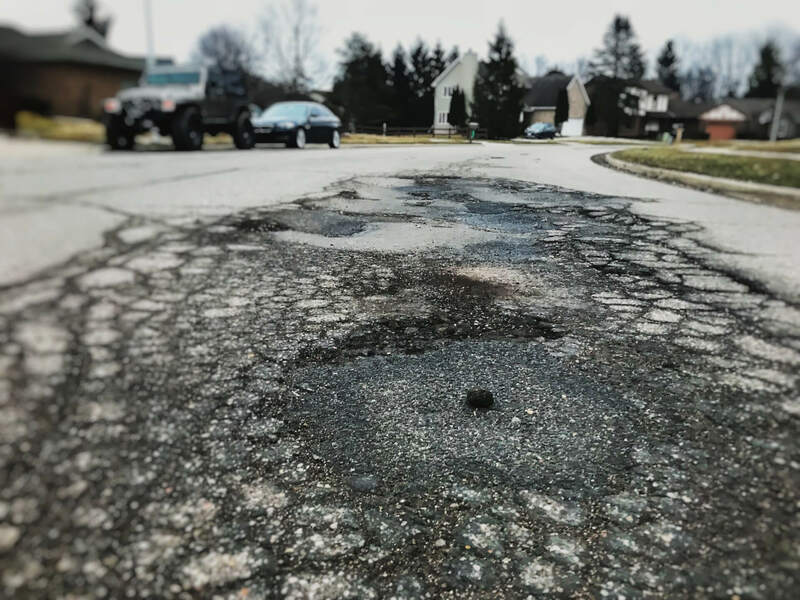 Most people don’t dispute that Michigan has some of the worst roads in the nation, but politicians are still squabbling over how to fix them. Gov. Gretchen Whitmer’s new road-funding proposal that hikes the gas tax 45 cents hasn’t exactly received a warm welcome from many motorists or the Republican-controlled Legislature. While politicians have been arguing about her plan, they’ve also fought over basic numbers. There have been multiple studies from groups like former Gov. Rick Snyder’s 21st Century Infrastructure Commission and the Senate Fiscal Agency that have clearly stated that at least another $2.5 billion is needed annually to repair roads. Whitmer announced a plan she says will raise that $2.5 billion, which consists of three, 15-cent gas tax hikes over the span of one year starting Oct. 1. Fiscal experts differ a bit on the math involved in Whitmer’s plan, however. According to officials at the Department of Technology Management and Budget (DTMB), Whitmer’s proposal does raise $2.5 billion in new gas tax money. That can be used in its entirety for the state’s beleaguered infrastructure, once the plan is fully implemented. The nonpartisan House and Senate fiscal agencies dispute this, however. They calculate that the governor’s plan only raises about $1.9 billion when factoring in Snyder’s 2015 road-funding law, which fully takes effect by 2021. That’s because Whitmer’s proposal removes a $600 million earmark from income taxes — which was the result of Snyder’s $1.2 billion plan that increased both the gas tax and vehicle registration fees, as the Advance has previously reported. Whitmer would shift the $600 million to the General Fund in order to end the “shell game” for road funding, as she has described it. The $10 billion General Fund is the state’s main discretionary account used to fund prisons, natural resources, veterans’ affairs and more. Matthew Ferguson, a DTMB budget analyst, said the $600 million earmark is based on estimated tax revenue in the future. DTMB officials say that $2.5 billion — which would be in addition to the $1.2 billion from Snyder’s 2015 plan — is the funding level needed to get 90 percent of Michigan’s roads to “good” or “fair” condition. Right now, only 33 percent of the state’s trunkline roads are in “good” condition, according to the Michigan Transportation Asset Management Council. DTMB spokesman Kurt Weiss notes that the budget office has yet to do a budget for fiscal year 2021, so the $600 million from income taxes remains assumed. In the meantime, should the Republican-led Legislature choose to act on Whitmer’s proposal — which leaders have expressed little interest in doing — Weiss says the measure would generate the needed $2.5 billion within a year. That would be all new revenue for roads, and the assumed $600 million from income taxes would go back to the General Fund. “Reasonable minds can disagree,” Lupher added. Like Ferguson, however, Lupher agrees that counting on a certain amount of tax revenue — like the planned $600 million from the income tax earmark — can be tricky due to its dependency on an economy that would continue growing. Whitmer has acknowledged that her proposal would likely make for a “tough vote” for legislators from both parties. State House Speaker Lee Chatfield (R-Levering) and Senate Majority Leader Mike Shirkey (R-Clarklake) have both slammed the proposal. Both Shirkey and state Senate Appropriations Chair Jim Stamas (R-Midland) have indicated they believe new revenue is needed to address road funding. But the Republicans said they want the $1.2 billion from Snyder’s 2015 law to “count” toward Whitmer’s call for another $2.5 billion, reducing the amount of new revenue required. So that’s where the dispute between fiscal agencies on numbers comes into play. McCann did not respond to additional follow-up questions. Several Republicans, and even some Democrats, have expressed skepticism that another gas tax increase is the right route. In a legislative update email sent earlier this month, state Sen. Rick Outman (R-Six Lakes) said he wants to wait to see the impact of the 2015 increase before considering another. Outman voted to increase gas taxes and vehicle registration fees as a member of the state House. But the legislative dithering could continue to produce a hefty price tag for Michiganders, according to the findings of a report released last week by Washington, D.C., transportation research group TRIP. The study determined that underinvestment in Michigan’s roads and bridges leads to about $14.1 billion in annual vehicle operating costs, congestion-related delays and traffic crashes. The average driver pays $646 more per year, according to the report. Whitmer’s office pegs the cost of her gas tax hike at $276 per driver each year. Speaking last week before a House Appropriations Transportation Subcommittee, Michigan Department of Transportation (MDOT) Director Paul Ajegba urged legislators to trust that the $2.5 billion asked for by the governor is the needed amount. He said investing now will help end Michigan’s “disparity” Michigan with other states’ road funding budgets. Michigan, he said, has “very good asset management system” software that specifically identifies the problems, what fixes need to be made and how much it takes to get the roads to a good level. “So I’m sitting here in front of you today, very confident that when we do get this money within that period of time, you’re going to see a significant change in pavement condition,” Ajegba said.